Getting married is a big step in any couple’s journey. Nowadays, a successful marriage can seem like an overwhelming challenge, due to high divorce rates. But a successful marriage isn’t impossible if you’re willing to work at it. One of the best things you can do to encourage success is to begin that work before the marriage even starts. Premarital counseling is a great way to start off on the right foot. While marital therapy is different for everyone, there are a lot of great benefits to consider. So, before you walk down the aisle, why not consider premarital counseling? Let’s take a closer look at some of the biggest benefits. If you’re engaged, you might think you already know everything there is to know about your significant other. But premarital counseling can actually help to bring out things you may not know yet. This includes things like stories from childhood, family life, etc. Sometimes uncovering these things makes it easier to address possible issues before you get married. For example, something from their childhood might be a sore spot for your partner. It’s better to understand that now, rather than having to wonder what’s bothering them for years to come. One of the biggest keys to any successful marriage is communication. Premarital counseling can give you the tools and resources necessary to really know how to communicate with each other. Having a conversation is one thing. Learning how to work through arguments and manage conflicts is quite another. That’s where the practice of communication really makes a difference, and counseling can help you and your partner to obtain those tools. Every couple has arguments and disagreements. After all, no two people think exactly the same way. But when you take part in premarital counseling, you can bring any issues the two of you might already have to the table. When a counselor or therapist is involved, they can help you both to work through those issues. Or they can give you advice on how to deal with them in the future. When you lay everything out in the open before you get married, you can work through a lot of those issues before you even walk down the aisle. In all the excitement of getting engaged and spending time with your partner, it’s easy to focus on the present. The problem many couples face is that they don’t focus enough on the future. It’s one thing to fantasize about where you’ll be, what you’ll be doing, etc. But realistically focusing on the future is something different, and it’s not something engaged couples are usually good at. A premarital counselor can help you both to think more about the future. This can include things like talking about children, understanding your love languages, how you’ll deal with finances, etc. While these discussions can sometimes feel overwhelming, they’re a huge benefit to carry with you as you go into your marriage. Have you ever thought about why you want to marry your partner? One of the most common answers from a newly-engaged person is simply because they’re in love. Being in love is wonderful and should be at the core of every marriage. But it shouldn’t be the only reason you choose to get married. A marriage counselor can help you both to understand your true motives for being together. Marriage requires friendship, trust, respect, and compatibility. 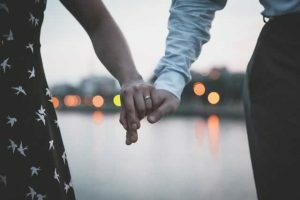 Once you start to see the deeper reasons for wanting to marry your partner, your relationship can be stronger than ever. The above-mentioned factors are just a few of the simple yet important benefits premarital counseling can provide before your wedding day. Remember, a successful marriage is possible. That journey to success starts before you actually get married. If you’d like to talk more about the benefits of premarital counseling or set up a session, please feel free to contact us or learn more HERE.